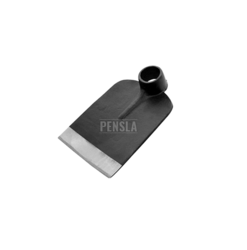 We offer Carbon Steel Draw Hoe With Metal Pipe to our clients. We are renowned organizations of market for presenting the optimum quality range of Triangular HOE, which is extremely employed in the industry. Hoes Use In All Tyep Of Cement Artical Production And Other Cement Material Item. I am Selling all Type of Hardwear Nut Bolt And Other Item.I am supply all item in all over India.If any Intrested in my product Contact me on My Email Address Or Phone Number. Weight (Approx.) - 1.000 Kg. 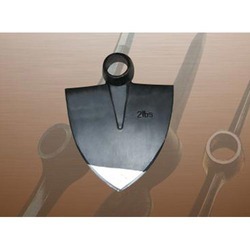 These AG hoe are made from very high quality raw material which ensures high durability. Our AG hoe widely finds its application garden tools. Agricultural phawda used in agri & construction . Goods quality . High resistance power . Durable . Hoes and cultivator Designed for hoeing. aerating arid leveling the soil.